Unified Communications are common integration path of communications media in a single application. Let us see how Cisco Unified Communications Manager works. The Cisco Unified Communications Manager (CallManager, CUCM) is a software for controlling and switching of telephone systems based on the Internet Protocol. Such a system is also known as IP telephony solution, voice-over-IP ( VoIP) system. The CallManager server takes over essential functions of a traditional PBX and increasingly integrating video, mobility, CTI and collaboration applications. Other manufacturers often uses the term soft PBX. Essentially we described Unified Communications in a previously published article. In 1994, Multimedia Manager 1.0 was published for HP-UX Operating System, that served the purpose of video calling. After porting it to Windows NT 3.51 and renaming to Selsius CallManager; the softswitch for the provision of voice-only calls was optimized. The company Selsius was acquired by Cisco in 1998. The product was then again renamed to Call Manager and was henceforth sold as Cisco CallManager. 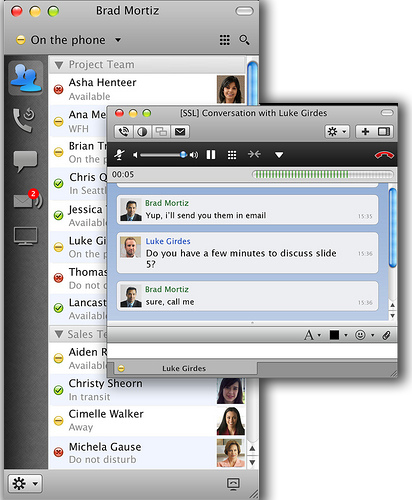 On 6 March 2006, Cisco Call Manager has been renamed to Cisco Unified CallManager. Which appeared in March 2007, Version 6 of the IP PBX software has been renamed to Cisco Unified Communications Manager. There are also Cisco Unified Communications Manager Business Edition available. In addition to the well-known services of unified messaging on a server operated under a single interface, combined, the setup needs a dedicated server, the MCS7828. The Cisco Unified Communications Manager controls all the necessary components and functions of an IP telephony system (VoIP). The components mainly include IP phones, voice gateways, application servers and conference bridges. All settings, operating conditions and evaluations from Cisco Unified Communications Manager is stored on a database. Several Cisco Unified Communications Manager forms a group ( cluster those are connected together) to increase the reliability of distinguishing individual Cisco Unified Communications Manager for specific tasks (TFTP server) and / or to increase the performance. In a cluster, configuration changes and are only carried out on one Cisco Unified Communications Manager. The (modified) configuration information in the database is replicated periodically to the rest of the Cisco Unified Communications Manager cluster. Cisco uses a bi-directional exchange of X.509v3 certificates as the basis of mutual trust. A CTL file ( Certificate Trust List ) is generated and transmitted to the phones, where certificates and a list of trusted devices is included. For example, the TFTP service is included herein, as well as the CAPF server. The phones need to know but also the certificates of the eToken, bring the certificate with which the CTL file itself is signed by the administrator. But also need the corresponding Unified CallManager, TFTP server and various services can trust the phones (or be routed to CA) – so called LSCs (Locally Significant Certificates) that are generated by the CAPF (Certificate Authority Proxy Function) and MSCs (Manufacturer Signed Certificates) form the basis of this. You will be secured via TLS connection transferred to Unified CallManager. Up to 7500 phone numbers per server and up to 5,000 users per server profiles can be saved. There is no doubt that the configuration, installation of the software is difficult, that is a different part though. But you will actually face various protocol names; such as SIP we described before. Cite this article as: Abhishek Ghosh, "Unified Communications : Understanding Cisco Unified Communications Manager," in The Customize Windows, May 27, 2013, April 26, 2019, https://thecustomizewindows.com/2013/05/unified-communications-understanding-cisco-unified-communications-manager/.